Send us your work now to win a cash prize! $75, $45, and $30 for 1st, 2nd and 3rd place. Deadline for entries: February 15, 2019 — Midnight EST. As with our regular nonfiction submissions, we are seeking strong and stirring personal stories about discovery. Send us a maximum of 2000 words (no minimum). Please do not submit previously published work. Please submit only one written work per entry–multiple entries are permitted, but please make a separate submission for each entry. Simultaneous submissions at other magazines are okay. Notify us immediately if a piece is accepted elsewhere. Contest deadline is Friday, February 15 – midnight EST. Winners will be announced on March 1, and all winning entries will be published in Cracked Inkpots. 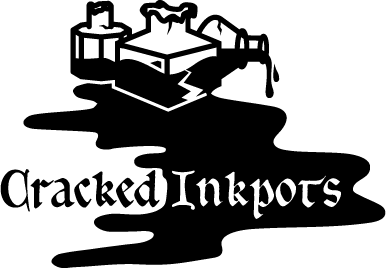 Additionally, all contest entries will be further considered for general publication in Cracked Inkpot’s essay/memoir category. By submitting your work, you grant Cracked Inkpots first North American print and electronic publication rights and guarantee that the submission is your own, original writing. All rights return to the author after publication.